With the recent move to Northern California, Julie and I had been craving our next adventure, specifically something outdoors. Our trip to Europe over Christmas break had satisfied our desire to travel abroad, but focused entirely on cities (after all it was winter!). Itching to get back out into nature, we started mapping out some potential excursions from our new home base. Over the course of an extended weekend, we made plans to drive from the Bay Area to Kings Canyon and Sequoia National Parks. 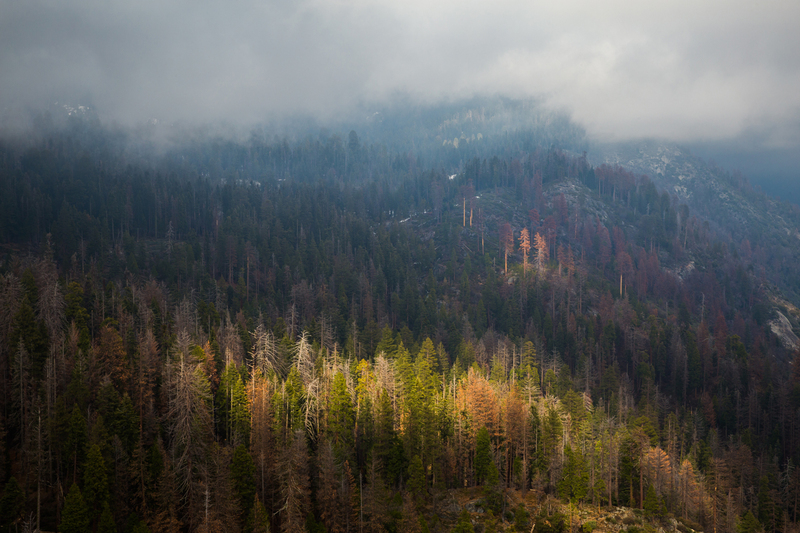 Knowing that the Sierra Nevada Mountains were still wearing their winter coat, we visited with the expectation that this would be more of a introduction to the parks and that we would return in summer when hiking is more accessible. 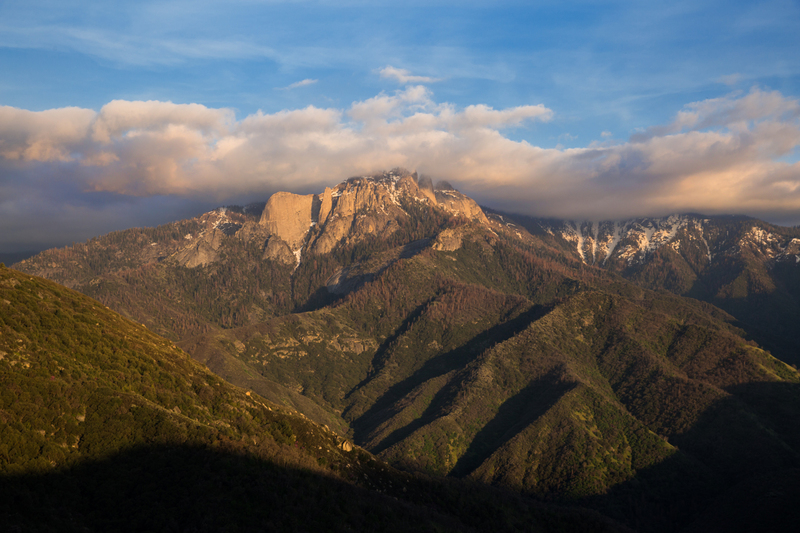 From the South Bay, the drive to Sequoia and Kings Canyon takes about four hours as you drive through Central California. 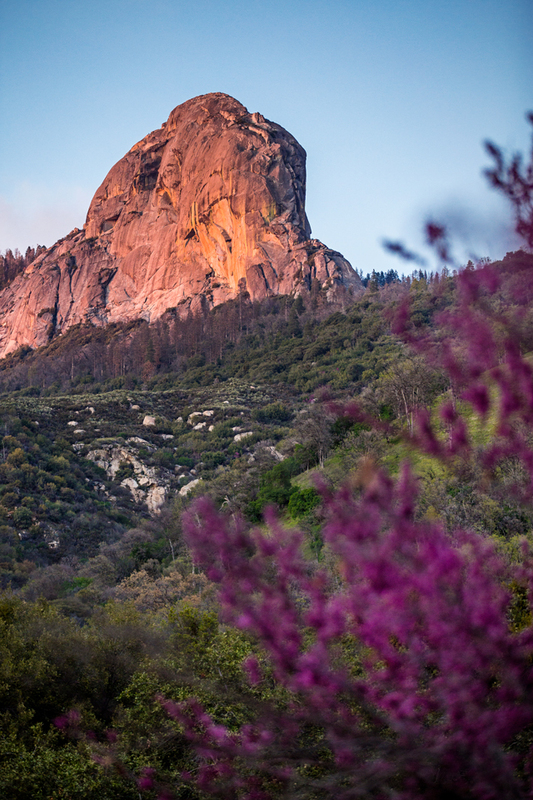 It always amazes us on our drives across the state, just how much geographic diversity California has; there really is something for everyone here. To enter the National Parks here, you’ll need to have $30 for a pass that gives you up to seven days access. We were gifted a season pass for Christmas last year, which will set you back $80, but is well worth the price if you plan to visit a few parks during the calendar year! 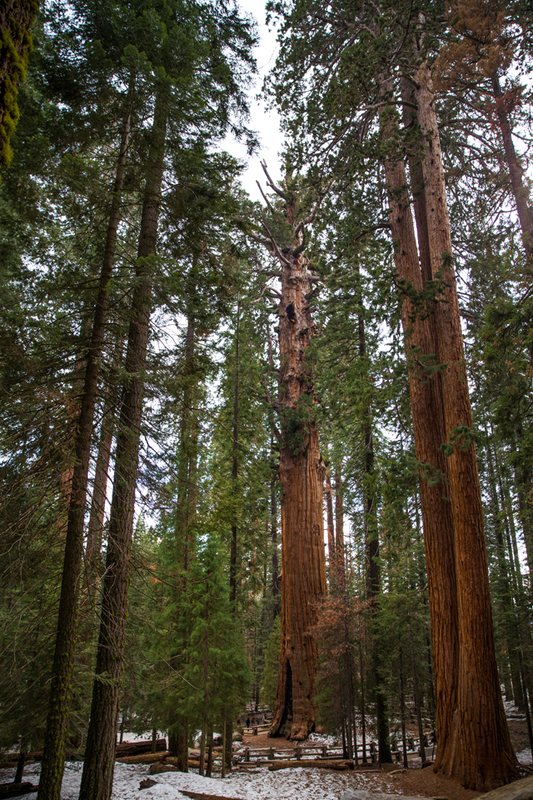 Our first stop of the day was to Grant Grove in King’s Canyon National Park. 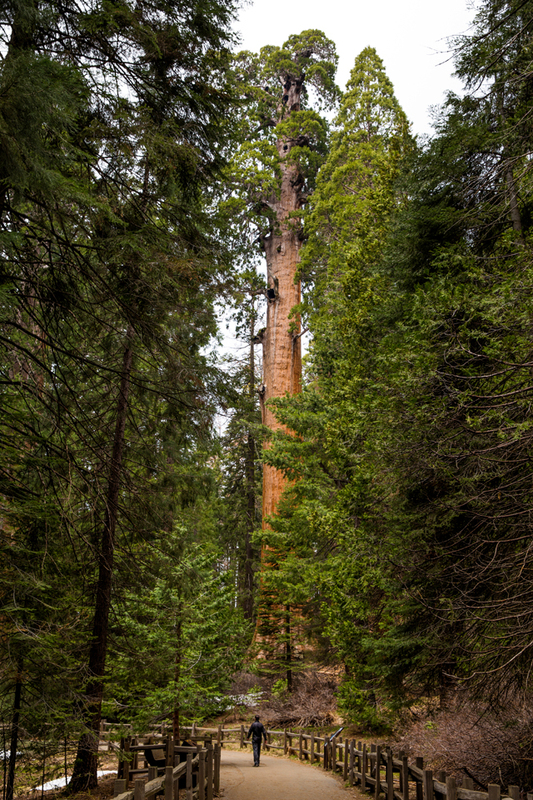 The grove is in the western part of the park and is easily accessible from Highway 180. 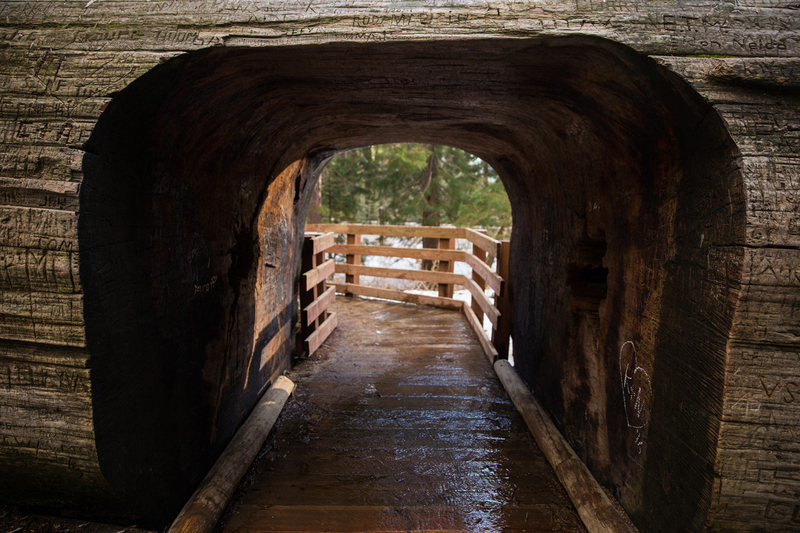 In the offseason, this is one of the few places you can visit within Kings Canyon, as roads are often closed due to snowfall. Always be sure to check the current weather conditions before visiting the park. Once you arrive, a stop at the Visitor’s Center is a great place to pick up a map and get up to date trail information! 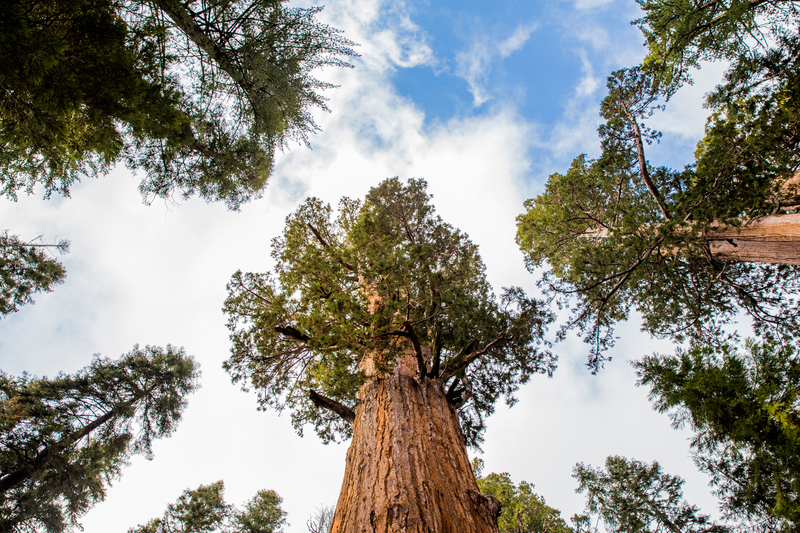 The Giant Sequoias in both Kings Canyon and Sequoia are an amazing sight to witness firsthand, and the star here is the General Grant. 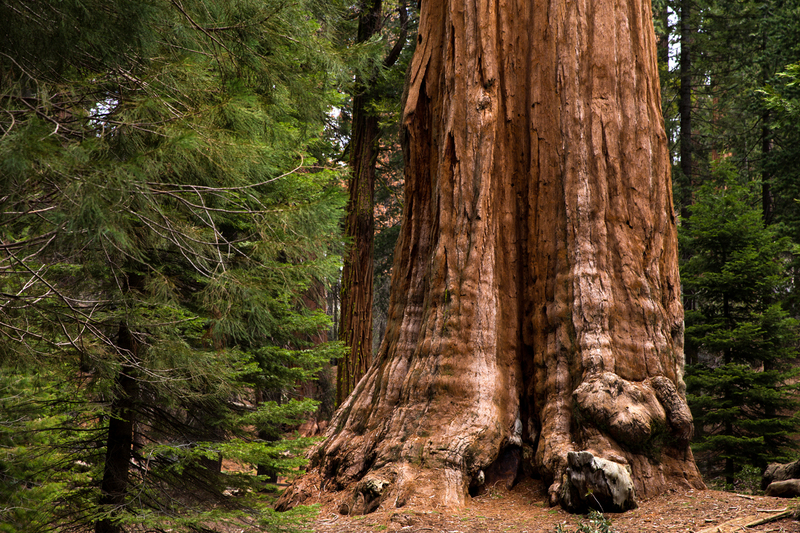 It’s name after, well, you guessed it, General Ulysses S. Grant, and is the second largest tree in the world behind it’s neighbor the General Sherman, in Sequoia. 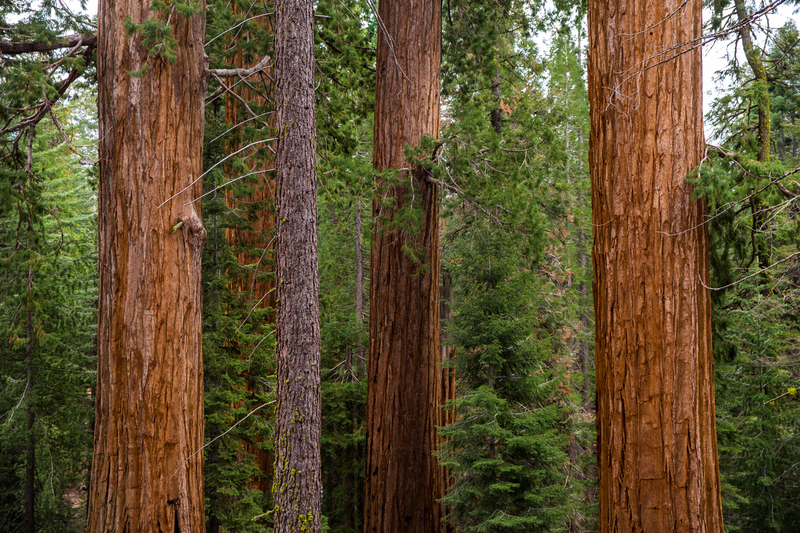 Believed to be over 1600 years old, the sequoias show a remarkable resiliency to conditions that dictate the area, including fire. 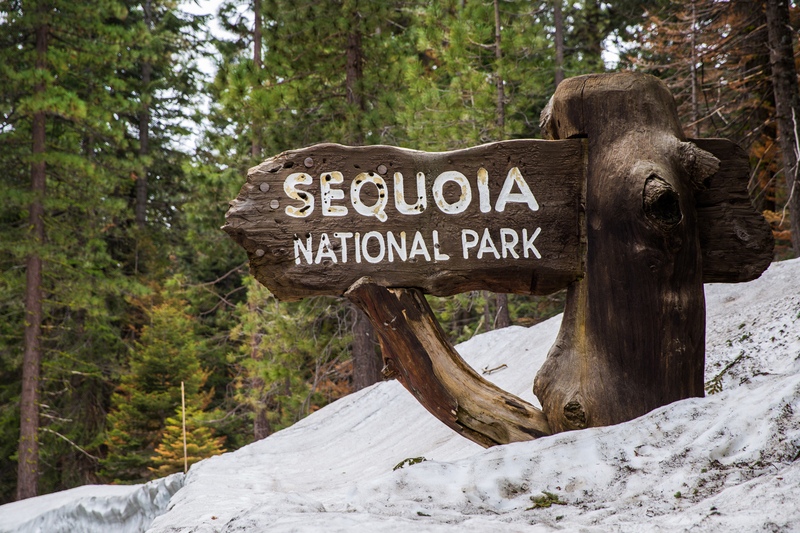 Following our short visit to Kings Canyon, we hopped back in the car and made our way to Sequoia. The drive between parks takes roughly 45 minutes to an hour, and is incredibly scenic. On this trip, the roads were open and clear, though we could still see remnants of winter snow as we drove. 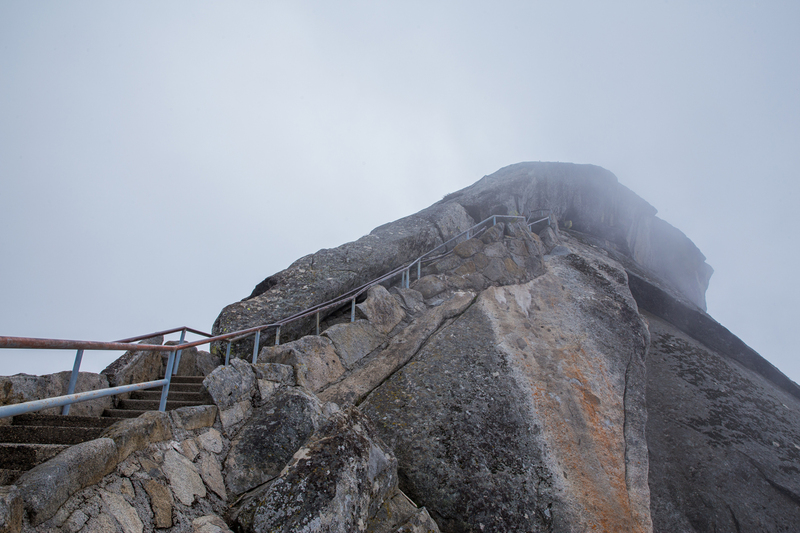 Itching to stretch our legs, we parked at the Giant Forest Museum, and headed to Morro Rock. Before leaving for the hike, we stored our snacks and anything scented in bear lockers, which is a must. When open, there is a road that takes you directly to the trailhead up to the rock, but on our visit in winter, we had to park and walk from the museum. Follow the paved road two miles, and watch for patches of snow and ice that were still present on our trip. While not overwhelmingly crowded on our visit, expect the opposite to be true during summer, particularly since this is an easy and very accessible destination. 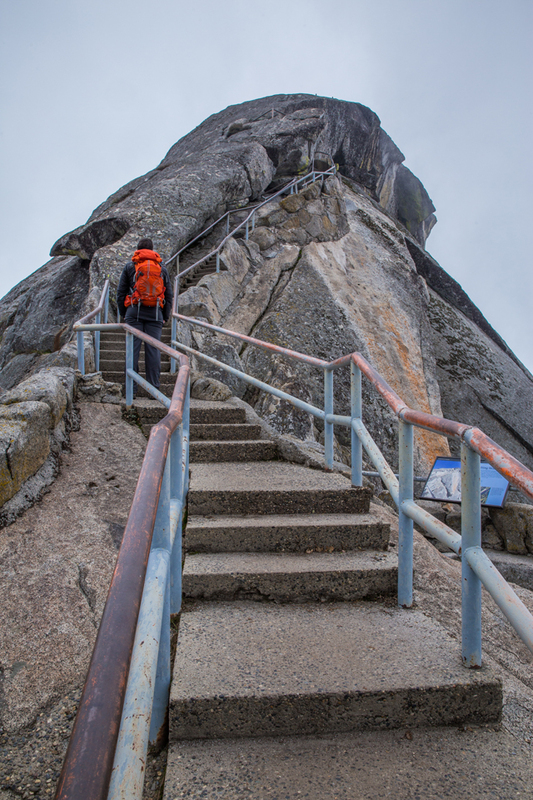 Once you reach the base of Morro Rock, take the stone steps up to the top. Be sure not to hike during a storm or with one impending, as this solitary granite rock is out in the open. It was especially foggy and overcast in the middle of the day on our visit. However, once the fog lifted, the views were pretty incredible! 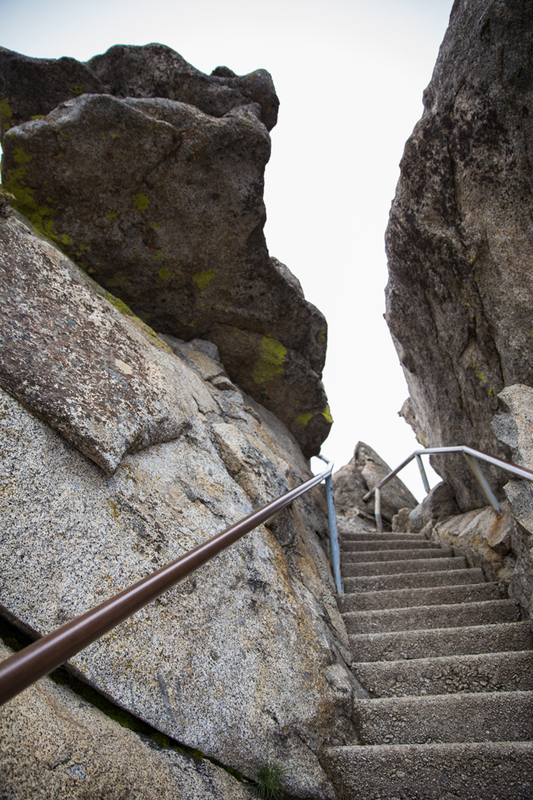 Once you’ve had your fill of the views, make your way safely down the steps and back to the museum parking lot. 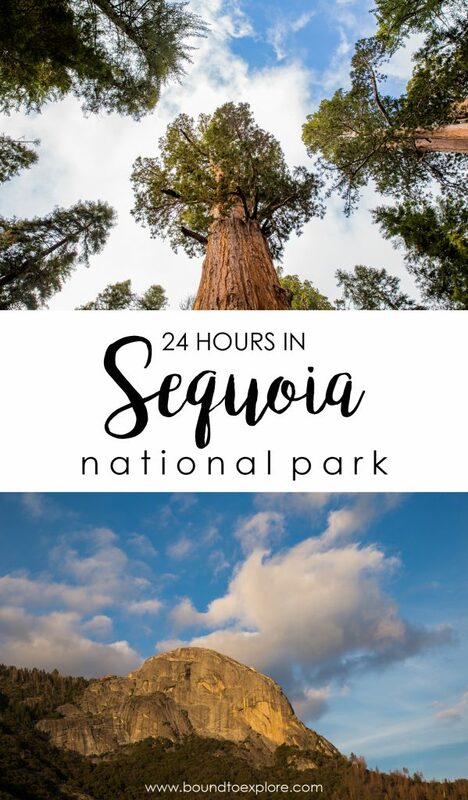 It wouldn’t be a full visit to Sequoia without stopping to see the largest tree by volume in the world, the General Sherman, and our next stop of the day. We backtracked from the museum parking lot and made to approximately 10 minute drive to the General Sherman trailhead. To reach the tree, you’ll need to make the short, about 0.5 mile walk from the parking lot down. It’s an easy walk, but be forewarned that since you’ll be going downhill to get to the tree, the return journey will be entirely uphill. 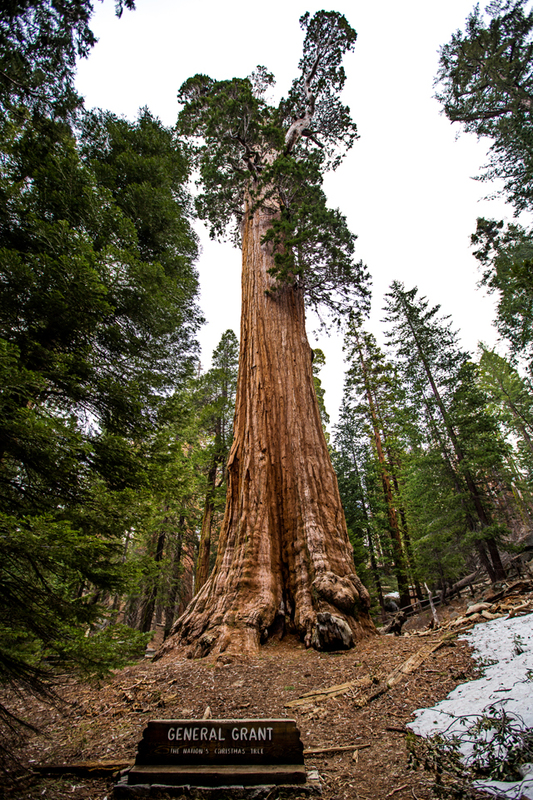 Much like it’s counterpart in Kings Canyon, the General Sherman is named after a famous American Civil War General, William Tecumseh Sherman. The Sherman measures in at 275 feet tall and 36 feet in base diameter, and it’s sheer size is tough to put into words (and a photo!). 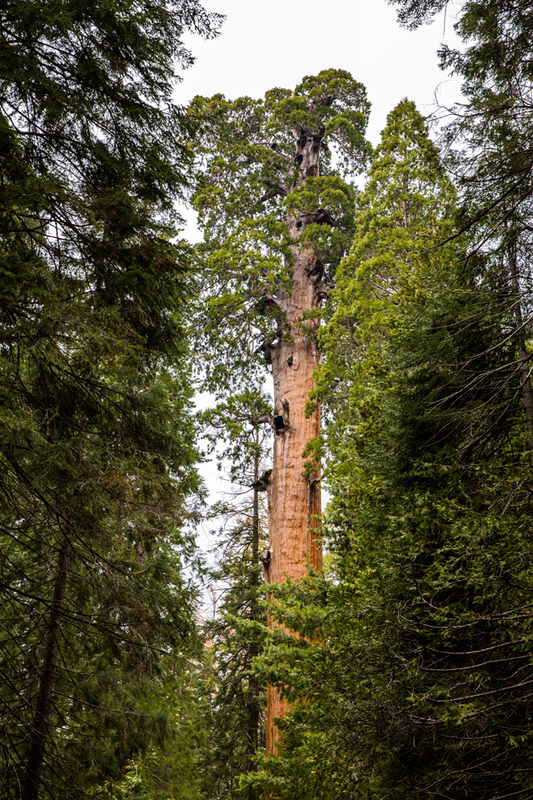 Besides the Sherman Tree, here you will find countless other Giant Sequoias to gaze up at and a couple that have fallen over the years. Remember to observe and respect posted signs as these trees and their surroundings need to be preserved for future generations to enjoy. 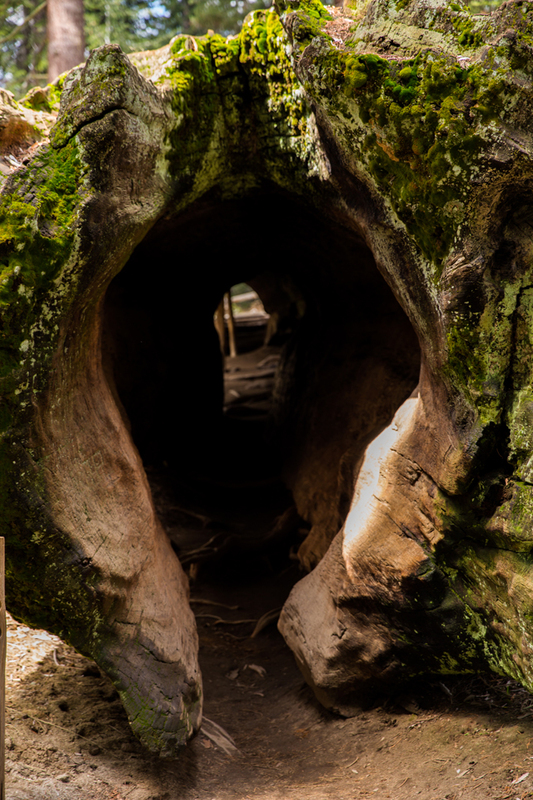 This includes not carving anything into either a living or fallen tree as your photos and memories are more than enough to recall your visit. 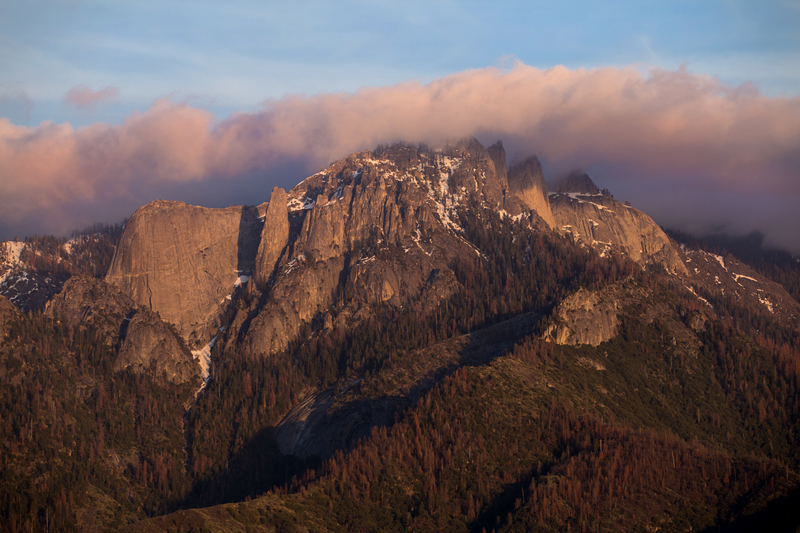 We had an awesome time visiting Kings Canyon and Sequoia National Parks in the offseason, and can’t wait to return when we can really do some hiking in the summer! 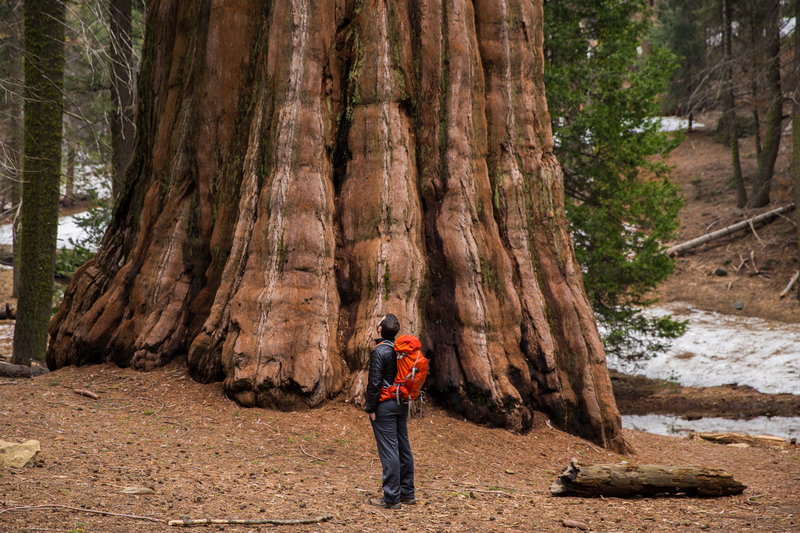 Have you been to Kings Canyon or Sequoia National Parks? What are some of your favorite experiences there? Another nice post with beautiful accompanying pictures as usual. 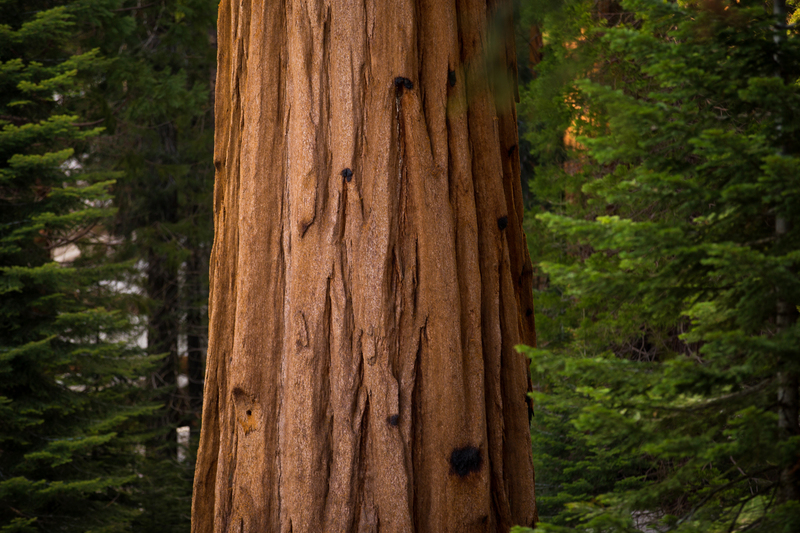 There are so many highlights in Sequoia and Kings Canyon NP. The drive into Kings Canyon is wonderful. 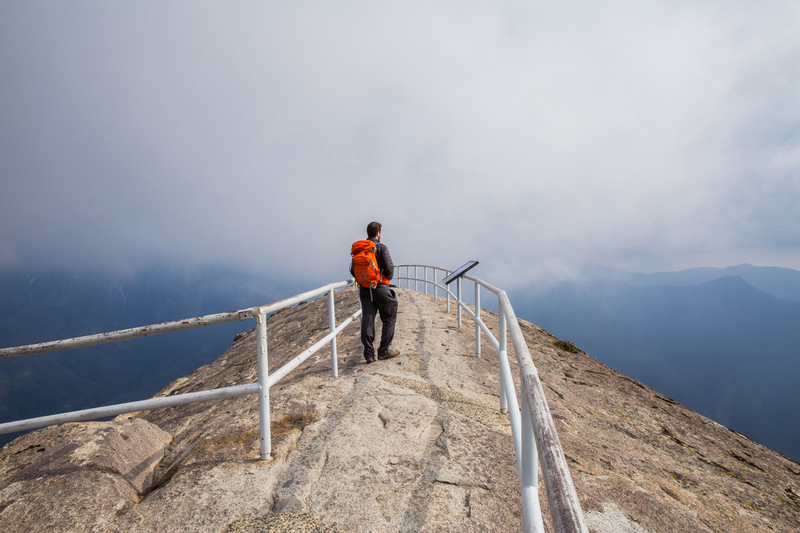 The view at the top of Morro Rock was stunning, Mineral King area is a great place for hiking to get a taste of the High Sierra. Thanks, Keng! Yes, there are so many great places to visit and we really only scratched the surface. We can’t wait to go back when the conditions are better. It’s definitely worth the extra distance, particularly if you can visit when all of the roads are open. 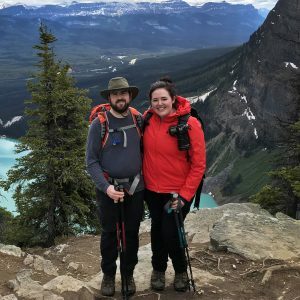 We did this trip in a day, but I agree that you would want to allocate at least a few days since there is so much to see and do!